If you have lack of only one tooth, several or even all teeth, visit our Dental Clinic where you will find the right oral rehabilitation solution with implants for your case. Recover your quality of life and smile once again with confidence! When you lose a visible tooth the solution is to replace it immediately. However, if it isn’t a front tooth and don´t compromises too much your smile, the tendency is generally to ignore it. A missing tooth, visible or not, should be replaced, because in a long term could have a negative impact in oral health. In case you have only one missing tooth, the best solution is to replace it by an implant. 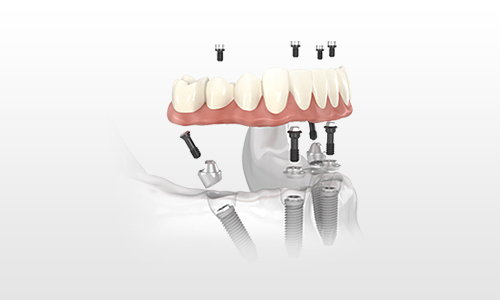 The implant serves as foundation for a dental crown, which replaces aesthetically and functionally the natural tooth. The crown is made to match the shade and shape of your natural teeth, so no one will note the difference. This solution also allows you to preserve the healthy adjacent teeth. The loss of all teeth is usually a cause of psychological stress that affects the quality of life and self-confidence. For many people with this problem, the use of traditional removable dentures is inconvenient and painful. 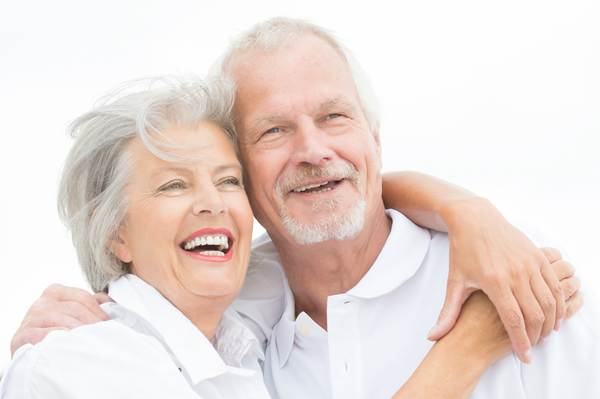 Is your denture causing you pain? The inappropriate fit requires that you use an uncomfortable dental adhesive? 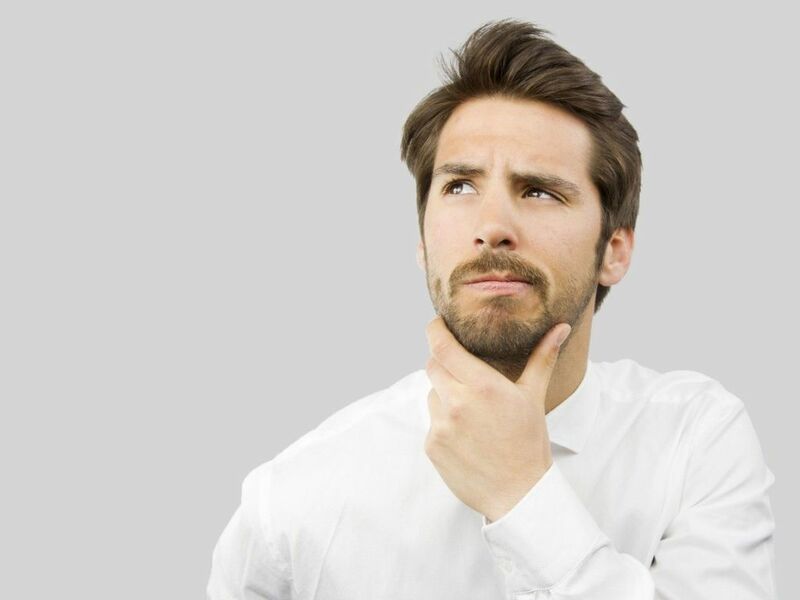 Does your denture prevent you to speak or eat correctly, causing you social embarrassment? If this is your case, choose a fixed prosthesis supported by implants, which will allow you to recover your self-confidence. The All-on-4® surgical protocol can be the right solution for you. You can go back to eat, speak and smile with confidence! Your new replacement teeth require only tom implants for each jaw. With fewer implants requiled, tlie cost is lowered. Reduced need for bone grafting. The special tilting of two of the implants ensures a secure and stable anchorage for the replaced arch, typically making bone grafting unnecessary.